Oregon Attorney General Ellen Rosenblum today announced a multi-state settlement worth $192 million with Aequitas Capital, an Oregon-based financial firm that financed over $400 million in private loans to students attending the now-bankrupt Corinthian Colleges. In total, 683 Oregonians will benefit from the settlement, amounting to $2.1 million in student loan relief. Broken down more, 358 Oregonians will get 100 percent loan forgiveness, and 325 Oregonians will get 55 percent principal reduction for active loans. The agreement, which Oregon collaborated with several other states and the Consumer Financial Protection Bureau, will be subject to approval by the Oregon federal court overseeing the Aequitas receivership. The settlement will cancel all outstanding balances for former students who have both fallen into default and whose campuses were closed as a result of the Corinthian bankruptcy while they were students there. All others will receive a write-down of 55% on outstanding loan principal. As part of the settlement, all former students will have any negative reporting associated with the loans’ repayment erased from their credit reports. 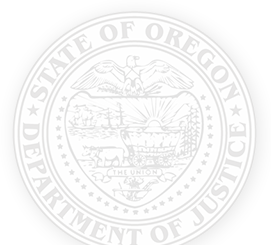 Once the federal judge approves the settlement, Oregon will file a stipulation and judgment in Multnomah County Circuit Court.